In one sense, I’m not especially qualified to write a post giving advice on writing sermons in another language. After all, I have a whopping one sermon in Japanese under my belt. But the process that has led up to this single sermon has taught me something about writing a sermon in another language that I believe is helpful to share. Last winter, the pastor of our church asked me to preach the following summer. 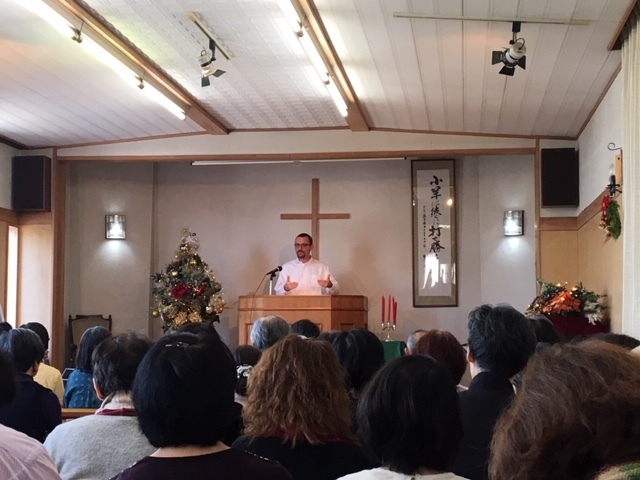 I was grateful for the opportunity, and because I had nearly six months of lead time, I thought, “I think I can pull off a sermon in Japanese!” So I chose a sermon I had in my files and a bilingual friend very kindly offered to translate it for me. I had heard that this is what other foreign missionaries do to preach in Japanese, so I didn’t really consider doing anything differently. When I received the translated sermon back, however, I encountered two major difficulties as I tried to prepare to preach it. The first difficulty is one that is perhaps unique to Japanese, or at least to languages like Japanese that employ multiple scripts. Because my translator didn’t know what kanji (i.e., complicated-looking Chinese characters that are incorporated into Japanese) I knew, she wrote the Japanese manuscript completely in hiragana (one of two phonetic Japanese scripts). On the one hand, this made it possible for me to sound out the words that I didn’t previously know—which is impossible to do with kanji—but on the other hand it made the manuscript more difficult to read, since it was harder to differentiate between one word and the next. If you know Japanese, you know what I’m talking about; if you don’t know Japanese, don’t worry, this won’t really affect your life in any way. So that was problem #1: difficulty reading the manuscript because of the script. The second difficulty was my inability to preach the sermon well because of a lack of familiarity with the Japanese terms, and in some cases, the grammar used. My translator’s work, of course, was fantastic Japanese, but the problem was that I’m not as fantastic at Japanese as my translator. Even though I could sound out the syllables, because I didn’t understand the meaning of each and every term, I wasn’t able to speak the words with any kind of fluidity. I’ve realized that in order to say something with conviction and fluency, I don’t simply need to know the sound of the script, I need to know the meaning of the words I’m saying. I began to look up words I didn’t know, but the process of looking up so many words, writing them down, and then memorizing them became too much to manage. There were a lot of words I didn’t know, so eventually I gave up, realizing that I didn’t have the time required to learn that sermon. Since I didn’t want to get up in the pulpit and awkwardly struggle through reading Japanese that I didn’t understand, when the time came to preach I did it in English and a Japanese friend interpreted for me. This past fall, a friend at this same church was involved in organizing the church’s Christmas concert. She asked me if I would be willing to preach a sermon at this concert. Once again, I wanted to preach in Japanese, but after my experience in the spring I knew that the first process wouldn’t work. 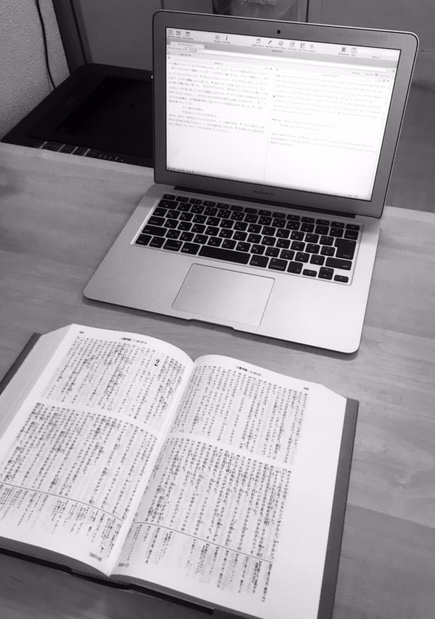 So I tried a different approach: I wrote the sermon completely in Japanese. That is, there was no English version of the sermon; I composed it in Japanese myself with terms and grammar that I already knew. Occasionally I would have to look up and learn a new word that I wanted to use, but there were only a handful of those. Each week I met with my Japanese tutor, who went over what I had written that week and helped me iron out the various infelicities that arose in my composition. From the very beginning this was a sermon that I understood in Japanese. For me, this was the key to preaching it. The fact that I composed the Japanese sermon myself solved the two difficulties I mentioned above. From the beginning I was able to incorporate kanji that I knew, which helped to distinguish the words in the manuscript. But beyond that, I was even able to use kanji that I didn’t previously know because I knew the content of what I wanted to say. That is, I knew all the Japanese terms that I used, so even if I didn’t know the kanji characters beforehand, this broader context of understanding enabled me to read the text anyways. This meant that not only was I able to read the text much more easily, I actually learned new kanji throughout the process. This self-composition also solved the problem of my not wanting to be restricted to reading the Japanese manuscript in an awkward, clunky fashion. Because I understood every single word in the sermon, I was able to preach it with conviction. Of course, when the time came to preach, the execution was much more difficult than when I preach in English. I was more tied to the manuscript than usual and my speech suffered from the usual effects of speaking a second language. However, the difference between my preaching in Japanese vs. English became a matter of degree rather than a being a different sort of activity altogether. I wasn’t simply reading a sermon, I was actually preaching it. So for any of you entering the world of preaching in a foreign language, perhaps my experience may be of some help. I realize that what works for me may not work for everyone, but I expect that for some, composing your foreign language sermon directly in that foreign language will help you communicate the Gospel message more clearly and naturally. Next Post The Great Commission: Are We Actually Commanded to “Go”?